I was checking out the posts on I Heart Crafty Things this morning and came across these cute paper plate peacocks and a new book Three Hens and a Peacock. For step by step instructions for making the peacock, check out Rachel's post Paper Plate Peacock. While you are there, check out her great toucans. Tucker Farm is all in an uproar. The Peacock doesn't feel like he is needed as much as the chickens and the hens think things are not fair because the peacock gets all of the attention, so the dog suggests they switch roles. You will have to read the book to find out the funny events that follow. I couldn't resist showing you the back of this book. 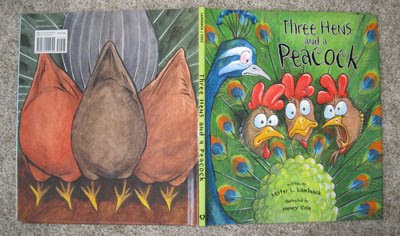 I love how the front cover shows the hen's faces sticking up through the peacock's feathers and the back cover captures their plump backsides. Very funny! Learn more about peacocks or birds. Study their characteristics. Create a class schema chart on peacocks or birds. Learn more about non-fiction text features. Make a non-fiction book about peacocks or birds. Students can label pictures of peacocks and create captions to go with their "close-up" drawings. Have students write if they would rather have the job of the hen or the peacock and explain why. 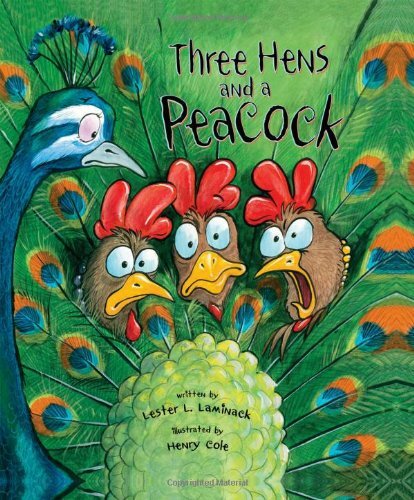 Compare hens and peacocks using a venn diagram. Create a web about peacocks. Use the web to write an acrostic poem about peacocks. That peacock book looks adorable!! The birds faces remind me of the story "Turk and Runt". I don't remember if it's the same author. 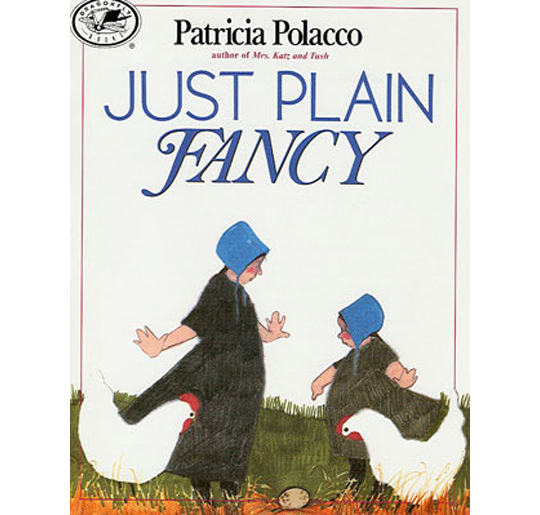 And how could you go wrong with Patricia Polacco? I adore her stories. Thanks for sharing the picture books. You are so sweet to share my Peacock Craft! Thank you so much! I love all your writing ideas to connect the story. I love the peacock. I will have to check out the book. Thanks for sharing. I love I Heart Crafty Things! Love, love the peacock project!! I love how you made it work for your kiddos! Thanks for the awesome ideas!